It’s hard to believe that we are leaving, assuming that Mother Nature cooperates, in a mere 12 days. Here is sit on August 30th and we are planning to head out on September 11th. Perhaps that’s not a good day given the history for that date but I don’t think that we will be ready on Monday the 10th so the 11th it is. 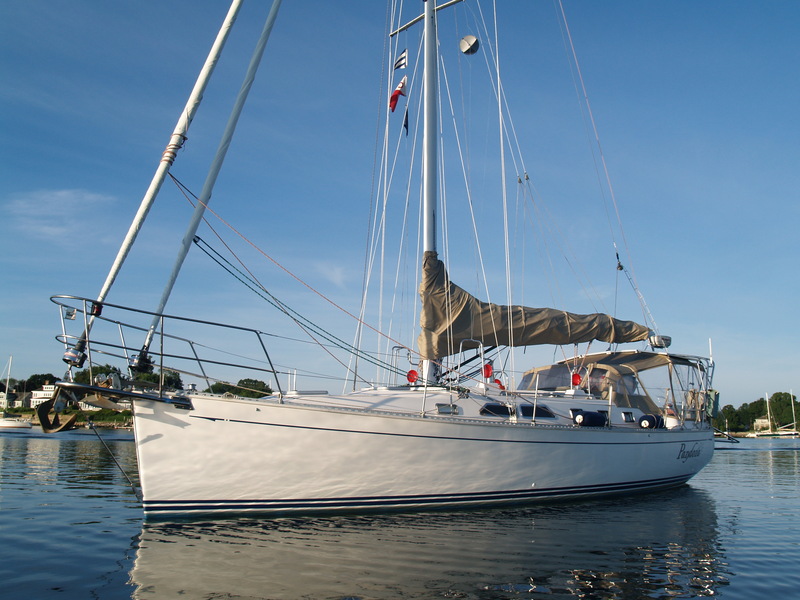 Pandora is still in Wickford and I will bring her here early next week so that we will have a week in Essex to finish the provisioning and be ready to go. While the 11th is sort of an arbitrary date, I have heard many times that when you are planning a trip like this you need to pick a date and JUST LEAVE. If not, days and weeks can slip by and you are STILL ON THE HARD. Besides, I don’t want to have weeks slip by and find ourselves scraping the frost off of the front of the dodger. So, as they say, “we have picked a date and we are sticking with it!! !” Even if leaving means that we head down the river and drop the anchor somewhere. At least we on our way. There are still a thousand details it seems to take care of, between being sure that the house is properly cared for, bills set up to pay online and local folks to support us while we are gone. While I am known to some as being a bit of an “energizer bunny”, even I am finding it hard to keep all of the details in order. The major project that I have left, beyond purchasing and stowing food and drink for months aboard, is to finish up on the cockpit enclosure. I received the screen and other supplies needed to construct this just yesterday so I headed up to Wickford yesterday to work on the aft screen portion of the enclosure. It took me over 5 hours to get it fitted and it’s still not done. No wonder canvas work is so expensive. I must have zipped it on and off a dozen times and it’s still not done. In spite of making a pattern twice, I still had to do the sewing on site. 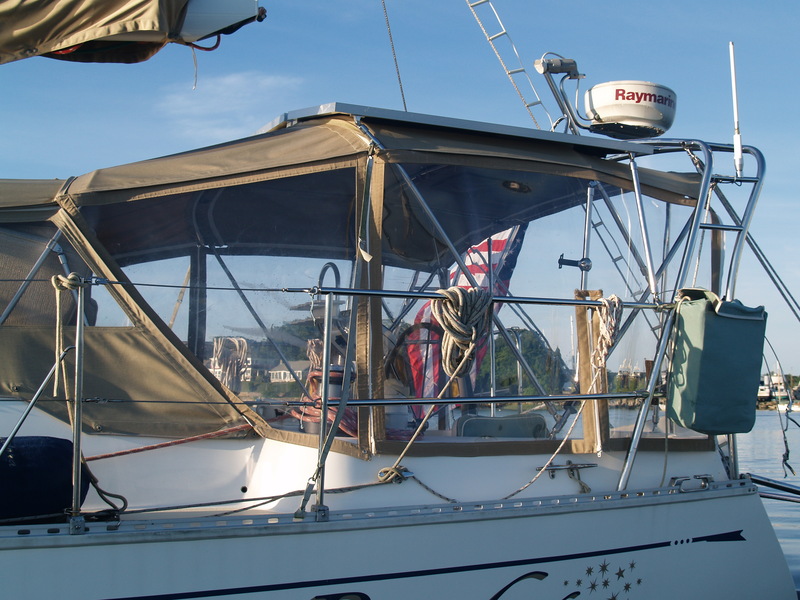 I also need to put a screen insert into the front of the dodger but that’s going to have to wait till we are underway, perhaps in Annapolis, as I just don’t have time to handle that, or have the supplies on hand, just now. I guess that I will pick up the needed zippers etc at the Boat Show next month. Along with getting ready for our trip, we have had lots of visitors in the last week. While it’s great fun, I am not used to doing that many dishes every day. 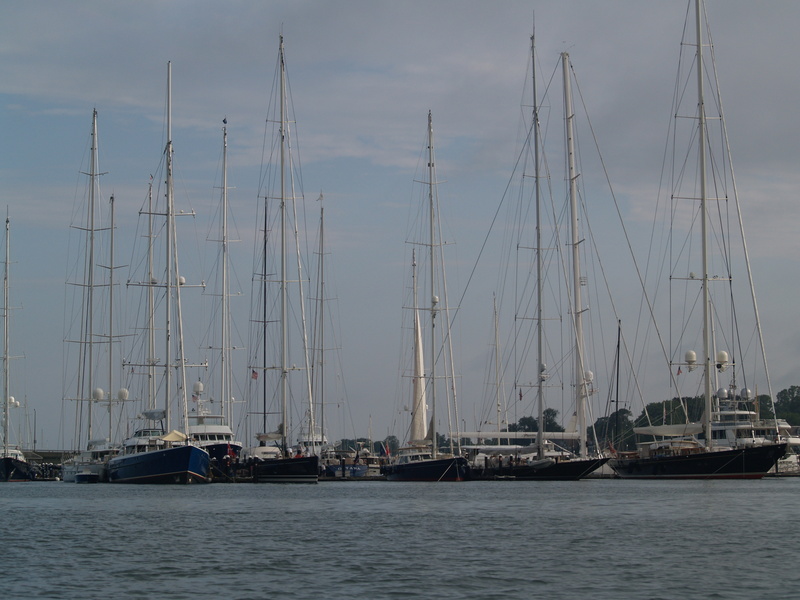 It seems now that we live in a great place for boats to visit we have enjoyed our share of friends visiting Essex. Here’s an idea? Why not make new friends along with the ones that we already know? Being the obsessive organizer that I am, I signed up to be a Cruising Station host for a group that we belong to, the Seven Seas Cruising Association. The group has some 10,000 members and those who offer to be a port host agree to help out fellow members with information and local support when folks show up in our neighborhood. In any event, I guess it’s official. 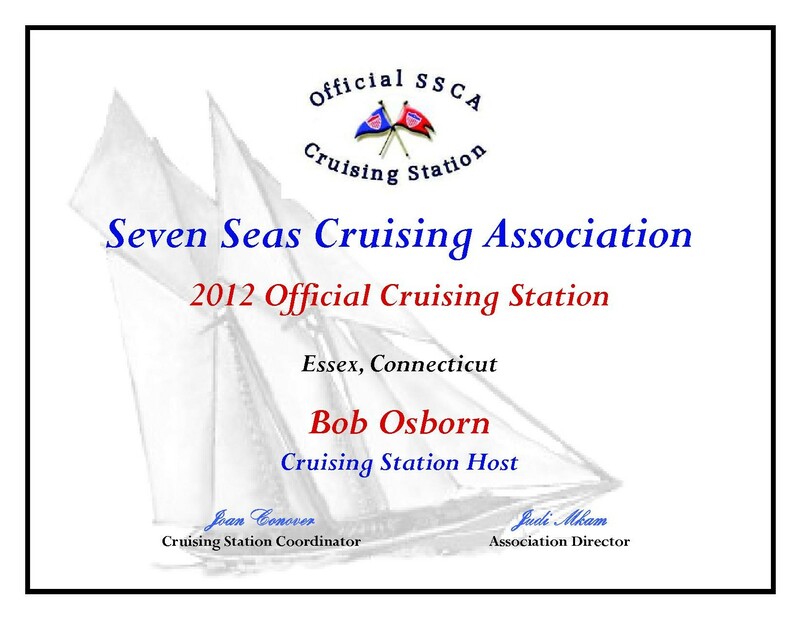 Essex is the newest cruising station for the SSCA and I even have a certificate to prove it. Well, sitting here messing around with this post isn’t getting me any closer to finishing the screening. Don’t worry, I’ll take pictures. That’s all for now. Yikes! Now it’s less than a month till departure. Oh Yeah, Newport and Wickford too. I can’t believe that after years of planning and perhaps 40 years of dreaming, we are about to leave to head south aboard Pandora. There have been a number of times in the last few weeks that I have sat down to “pen” another post but many details, or the details of life, have gotten in the way it seems. Boy, did I ever underestimate the amount of time it would take to get our new home ready to leave for months in the winter. After living in our last home for over twenty years, I just assumed that our new home in “move in condition” would make it easy to cast off and head south. Not!!! And, what was I thinking when I thought that I would be able to slip in a two week trip to Maine? And, it wasn’t until a few weeks prior to departure that I realized there was NO WAY that I would be able to go. OK, OK, no more whining!!! I have been a busy guy for the last few weeks making great progress on the remaining projects to Pandora. No, they aren’t done but the list is getting shorter for sure. I am almost finished with the cockpit enclosure which will certainly make Pandora more habitable in inclement weather. My friend Rodney teases me that Pandora’s cockpit is so well covered that I can’t tell if it’s sunny or stormy from there. Perhaps, but it’s nice to stay dry when we can. The sides are done but I still have to construct the aft netting. Stay away mosquito, stay away!!! Actually, they may look like simple panels but getting them templated and to fit correctly wasn’t an easy task. We were aboard Pandora for a few days and had one day of teeming rain. These panels proved their value. However, when the sun finally came out… Did someone say greenhouse effect? 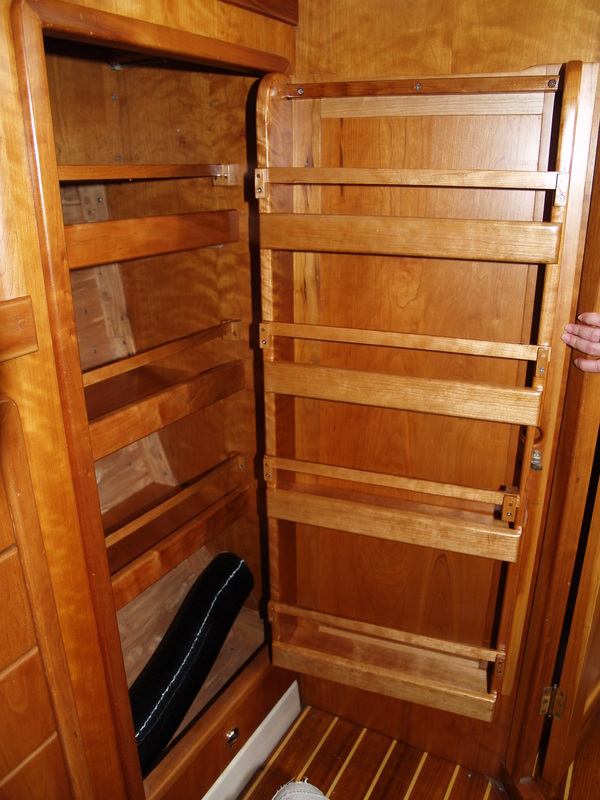 Storage is always an issue on a boat and especially one that is to be used as a home afloat for months at a time. Pandora, while not a small boat at 43′ is petite by today’s beamy boat standards. Fairly narrow at 12′, she lacks much of the interior volume that you would expect from a boat of her size. 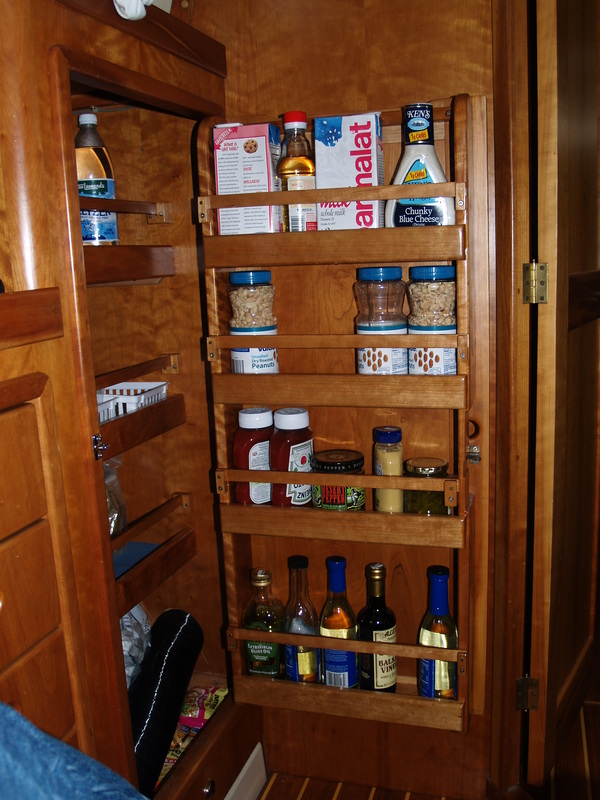 I was aboard another SAGA 43 some time back and saw that the owner had converted his aft hanging locker into a pantry to gain more space. What a great idea, I thought and decided to do the same thing on Pandora. 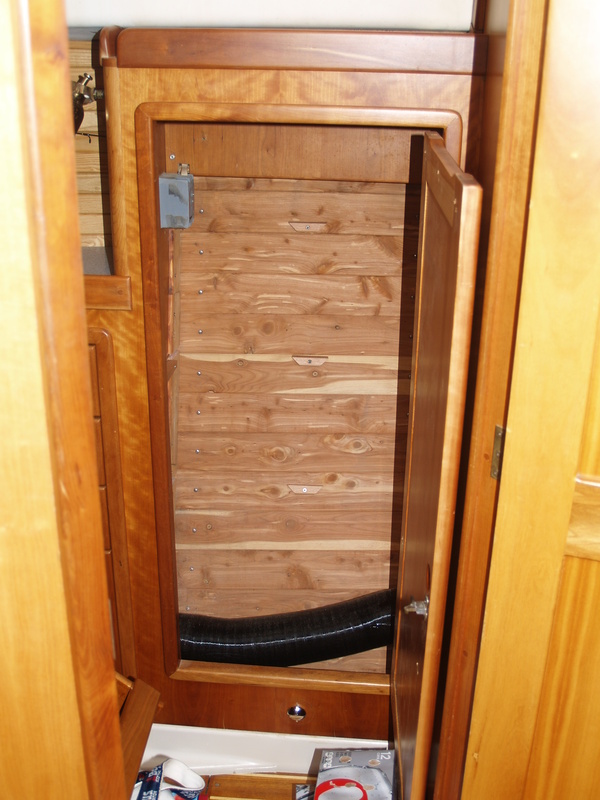 It seems to me that this is a better approach than using the entire locker just to keep two sets of foul weather gear. Here’s what I started with, minus the hanger bar. Not much there. My friend had found a wire rack to attach to the locker door as a way to store some smaller items. Alas, I wasn’t able to find such a contraption so I decided to build one myself. Don’t be fooled by thinking that this was a simple project for me by the fact that there are only three shelves in the locker. No square corners on a boat and while it probably shouldn’t have, it took me hours to fit the pieces as I wanted them to be as perfect as I could make them. The process was made doubly interesting as the boat was on a mooring and I had to climb into the dink and head to shore and my tools for each cut with the saw which I set up on a picnic table at the marina. A real pain and the constant “travel” made the project take hours more to complete. I didn’t keep track but I think that I came ashore in the dink some 30 times that day. 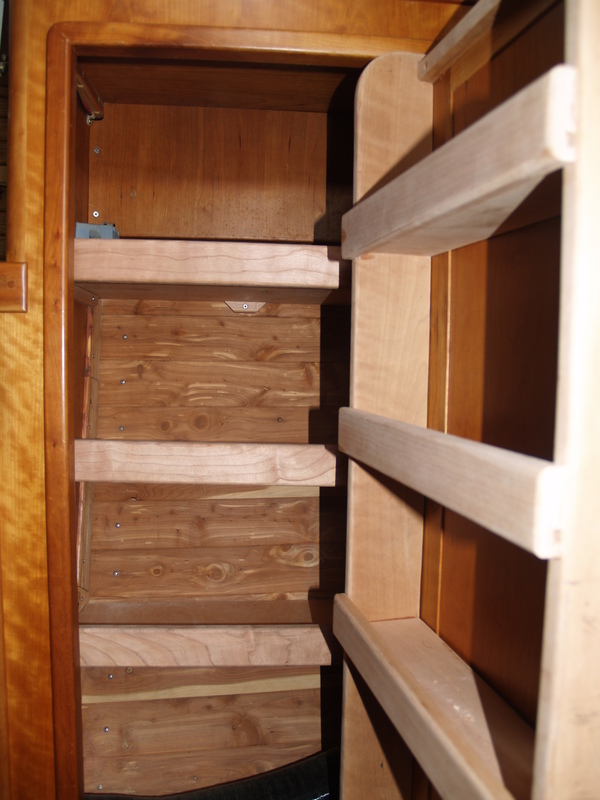 After all was fitted and set, I took the whole mess apart so I could take it home and apply multiple coats of varnish to each piece. After reassembly, I am pleased with the way the project turned out. This is sort of like a time lapse series. Now the completed shelves. In case you are wondering, the black tube on the bottom is for the diesel heater that I put in a few years ago. Now, that was a pain in the backside to install. It didn’t take long to fill up some of the shelves. Wow, but what a difference it has made in our ability to store loads of “stuff”. Still lots to buy but we are off to a good start. As we stowed each item we logged it into a ships stores inventory. You’d be amazed with how easy it is to lose something on a boat, even one as “compact” as Pandora. In fact, we “lost” a pillow case for months and just found it this weekend on board. It’s also easy to forget exactly how many of the 24 rolls of toilet paper we have left. Was that the last one I just finished? Well, with our inventory we will know for sure. Well, at least as long as we are good about updating the list. Don’t worry, there’s a strong latch on the outside of the door to keep it from slamming open at an inopportune time. 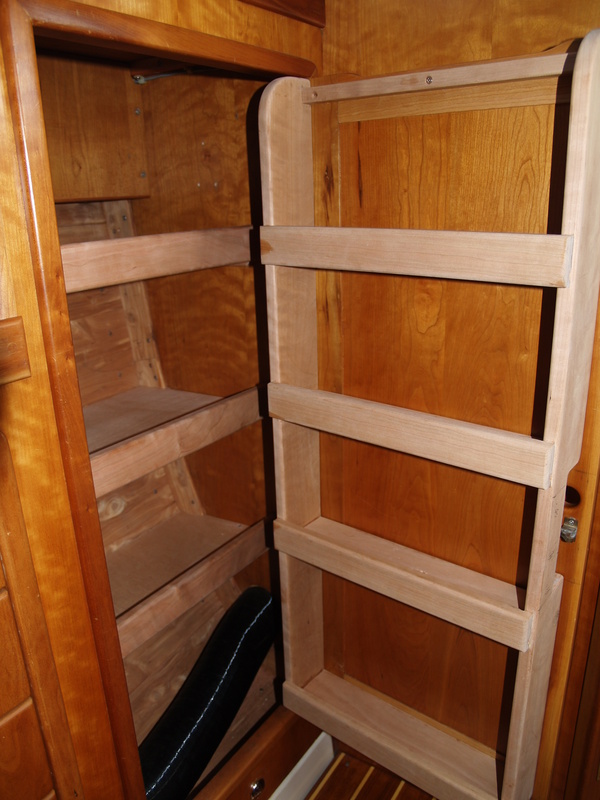 This cabinet will end up holding over 100lbs of stores I would expect. Perhaps more. However, purchasing things now will save money as we head south and only have small markets to visit along the way. Besides, in the Bahamas, things like paper goods, for example, cost twice as much as they do in the States. Brenda and I spent some hours taking the “stuff” that we had brought aboard in preparation for our trip to begin deciding where everything was going to live. 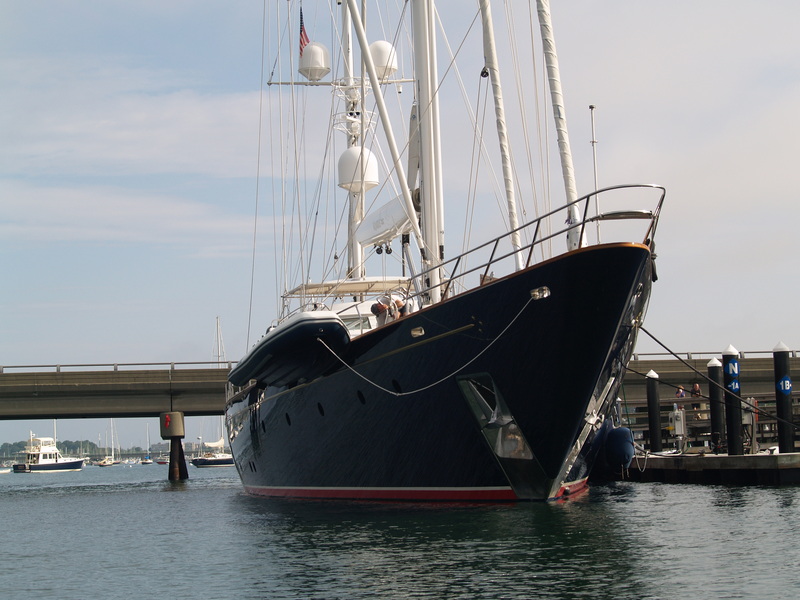 I should note that Pandora is now in Wickford RI, one of our favorite harbors. When I moved her from Mystic a few weeks ago, my friend and long time crew member Rodney and I visited Newport, the home of the big boys. It’s hard to imagine the kind of wealth that is required to maintain such boats. I guess the eternal question is always “mine is bigger than yours”. This is certainly a grand collection. I can hardly say which are the best, or biggest… Plenty of eye candy to go around. 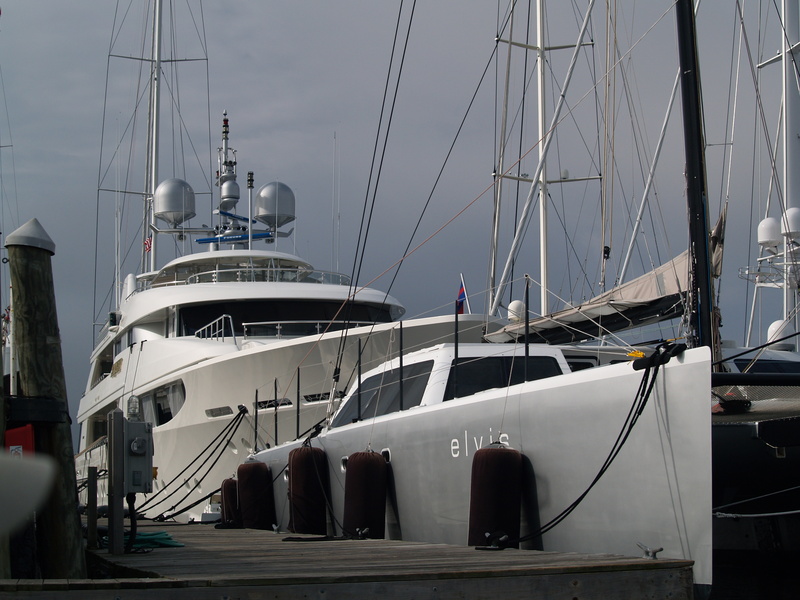 I wonder if the owner of this boat wears blue suede shoes? It seems that the color of choice is white, or royal blue with an emphasis on “royal”. Not everyone has a mega-yacht though. Some just have a classic that costs as much as a minor-mega-yacht to maintain. 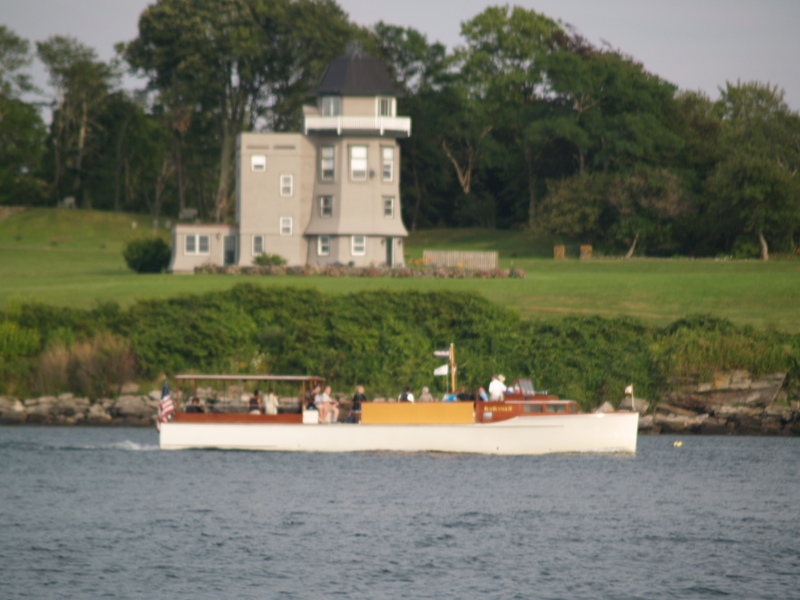 This is a beauty and all the better looking cruising by a lovely estate on the bay. 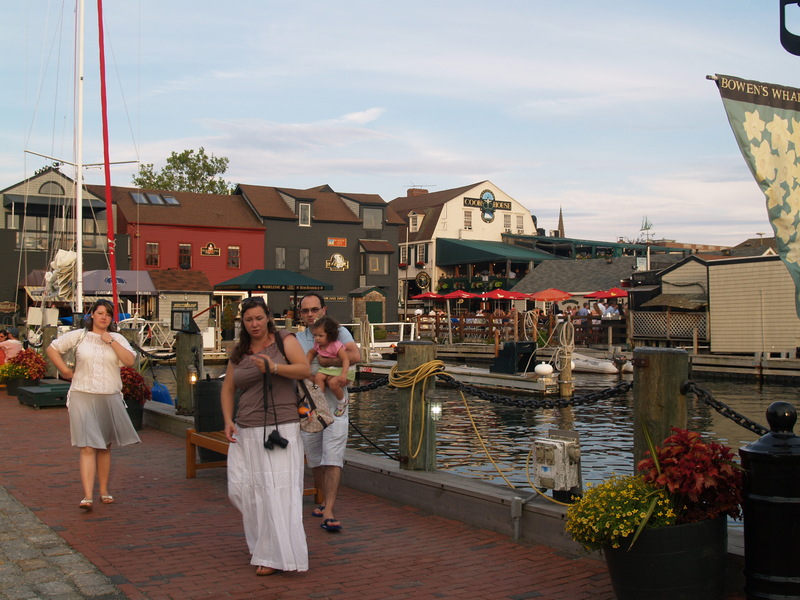 Of course, there’s always an opportunity to hang out with the unwashed masses at Bannister’s wharf in down town Newport. Well, there is still lots to do and with our departure date scheduled for September 10th, there’s just a bit more than three weeks to go. We plan to bring Pandora to Essex a week prior to departure so that it will be easier to handle last minute preparations for our trip. Following that day of teeming rain the sun came out. What a lovely shot of Pandora about ready for her big adventure. I was impressed by this little Friendship Sloop. I am told that Apogee is a 30ft Brono & Stillmen Friendship Hull # 2. 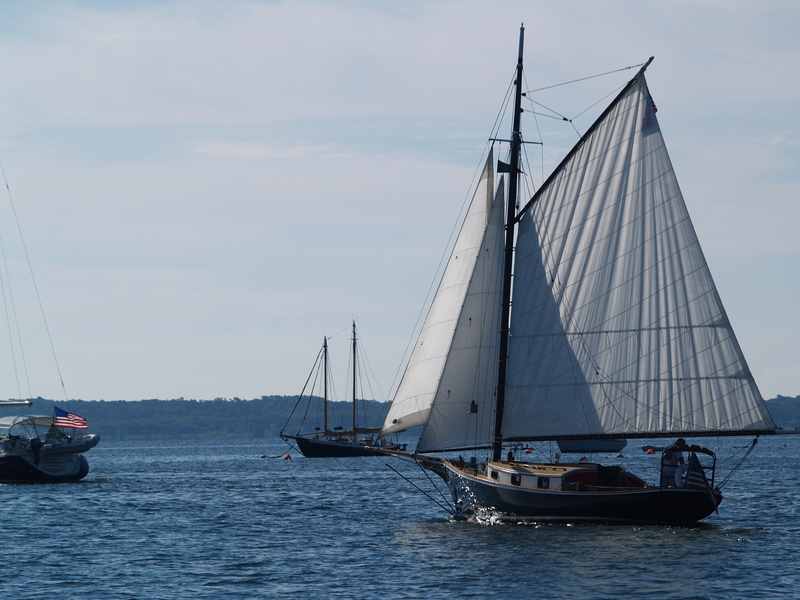 Not much in the way of accommodations but what a classy lady headed out of Wickford Harbor for a morning sail. Three weeks untill we shove off!!! Make that a triple yikes!! !